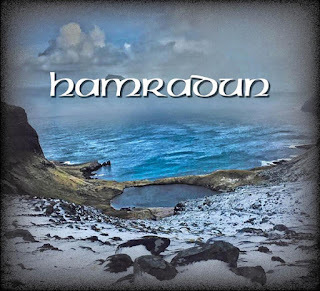 I'm in more of an easy going mood tonight and I've picked out the S/T album from Faroese folk rock band Hamradun. I don't normally listen a lot of folk rock (and apologies if the song-titles about contain spelling mistake, please correct me if so) but wild image that adorns the album's cover drew me in. 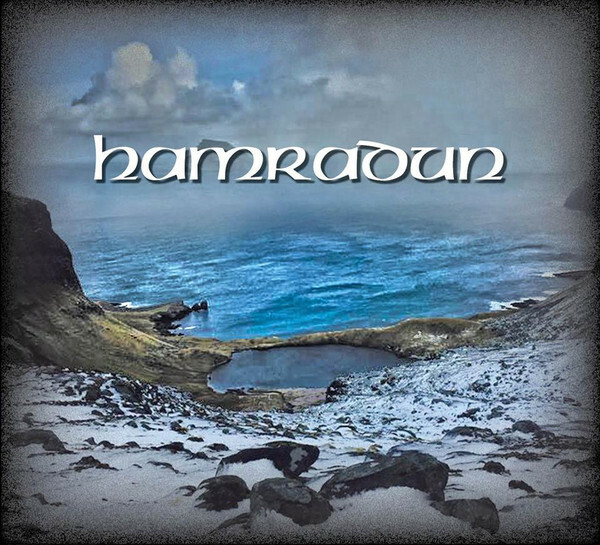 Hamradun are a sextet that sing entirely in Faroese, signed to the domestic label TUTL Records. I'm unsure of the year of release unfortunately. Hamradun’s music is more your rock with folk-influence than your traditional folk-rock. The rousing guitar riff and solo at the beginning of Sneppan suggests a bombastic dynamic, but they’re actually quite restrained throughout. Melodic vocals are given a dramatic backdrop and it does make you think of the cold and windy ocean that surrounds them. Snaebjorn’s mid-paced tempo is tailored to a more straightforward rock sound, where the lead guitar steals the show. The production and mastering on “Hamradun” is clean and crisp, as you’d expect. It certainly suits the music and helps the ballad-like Utlegd stand out. Sinklars Visa is the longest song on the record and also the one with the biggest folk influence. Hamradun begin with unaccompanied singing that’s very impressive and at times it sounds like there’s a full male-voice choir backing them up. It’s layers and volume builds throughout it’s eight+ minutes running time, conjuring images of warriors marching to war across frozen moors. Tad Er Ein Stutt Og Stokkut Lota feels like it was written as a direct continuation of Sinklars Visa, though it’s short and quite mournful in atmosphere. Frisarnir is rousing and made more so by the calm and quieter verses. The melody throughout the song does contain similarities to Amon Amarth and some Dark Tranquillity/Insomnium, but they are the closest metal influences that spring to mind. The cool crackle effect on closing song Kvaedid Um Hargabrodur gives it the feel of a sea-shanty playing on the radio of a fishing boat sailing in the night. It stays that way for the song’s first half before the full band kicks in once more. This album is very well played and Hamradun is made up of a great set of musicians and performers. It’s a bit out of comfort zone as a writer but I’ve really enjoyed it and with the threat of colder/snowy weather hitting us tonight and tomorrow, is feel right to be listening to it. For fans of rock and folk-metal. The record is not streaming online but there are "unofficial" videos on Youtube. Thanks for the review of Hamradun! Cheers from the Faroe Islands. Molar/Pale Kids - Split 7"
Vacivus - Nuclear Chaos 7"